Christine won her choice of $200 gift certificate with Bluewater Photo or Bluewater Travel! The story: An endangered Great Hammerhead shark slowly approaches from out of the dark night waters off of Bimini, Bahamas. During an shark diving expedition with Curt-a-Sea Aquatic Adventures and Joe Romeiro, we encountered several great hammerhead sharks during the daytime. During the night dive, however, only one 14’ female remained. Calmly and gracefully investigating, she did not seem deterred by my camera or strobes. With patience, respect and a bit of luck, I was fortunate to witness this high-impact moment with one of our ocean's greatest apex predators. 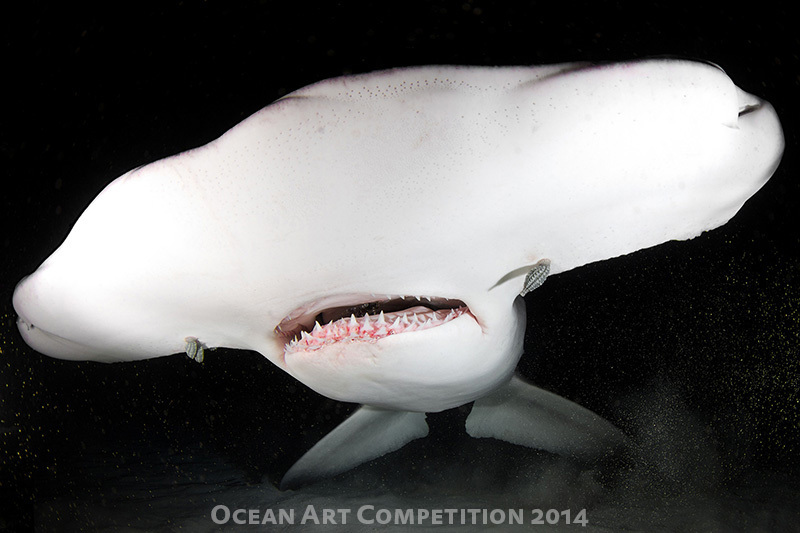 The Great Hammerhead shark is listed as Endangered by IUCN.